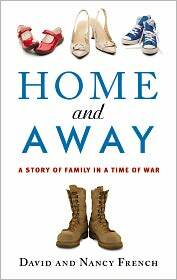 I just finished reading Home And Away, by David & Nancy French, and I have tears in my eyes. I readily admit that I’m a “patriotic crier” whenever the red, white and blue is involved, and this book hit me right in that patriotic soft spot. A real quick summary of the book goes like this: David & Nancy French have an ideal life in America (family, home, career, etc. ), but David feels compelled to serve his country in the armed forces in Iraq. So David enlists in the reserves and is stationed away in Iraq for a year, and Nancy tries to adjust to life home without her husband. The book alternates chapters, with both Nancy and David writing about the war from their perspective. But what was invaluable to me was the insight into the emotional life of this couple. Both of them explain so clearly all of the feelings that are swirling around inside of them. You can feel the frustration as they try to explain their feelings to others, who don’t quite seem to get it. Even David has trouble grasping all that Nancy is experiencing, as Nancy tries to come to grips with what David is going through. In the end, I have a much greater appreciation for both our soldiers away in harm’s way, and their families who attempt to carry on at home without them. If you want to know how to better support and pray for our armed forces and their families, I highly recommend Home And Away to you. I am a Hachette Group book reviewer. There has been a debate in religious circles for a loooong time about how involved Christians should be in culture. Get close to outsiders. But how close is too close? Be friendly with your neighbors. But how friendly is too friendly? The debate usually has two extremes: Either get immersed in your world, or don’t even touch a thing of this world. I hate either-or’s! Instead I think there is a both-and balance that is very biblical. We need to ENGAGE our culture. 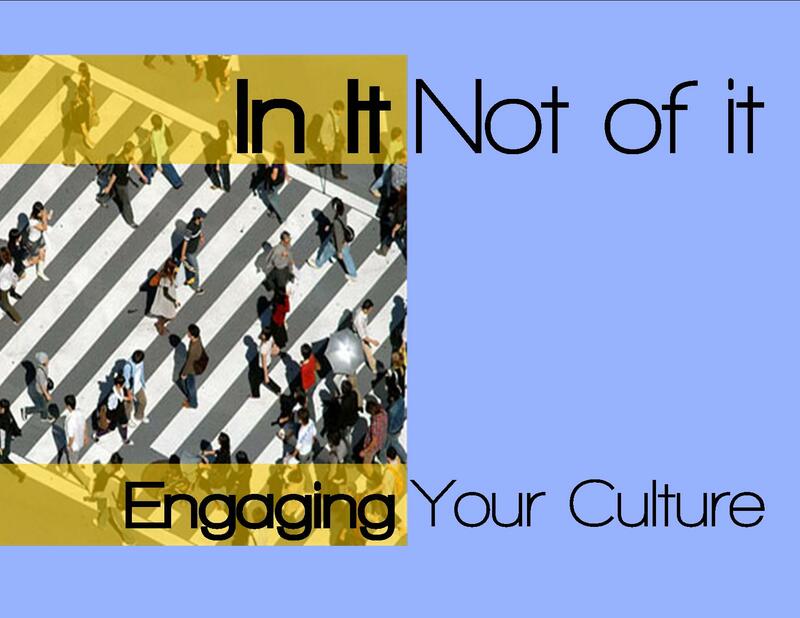 Engaging culture means that we understand it and can relate to it, but we don’t give in to it nor compromise with it. I’ll be addressing this topic in a new series at Calvary Assembly of God. I hope you’ll be able to join me to learn about the biblical wayS we should be engaging our culture.